I did using amazing papers from CutCardStock! 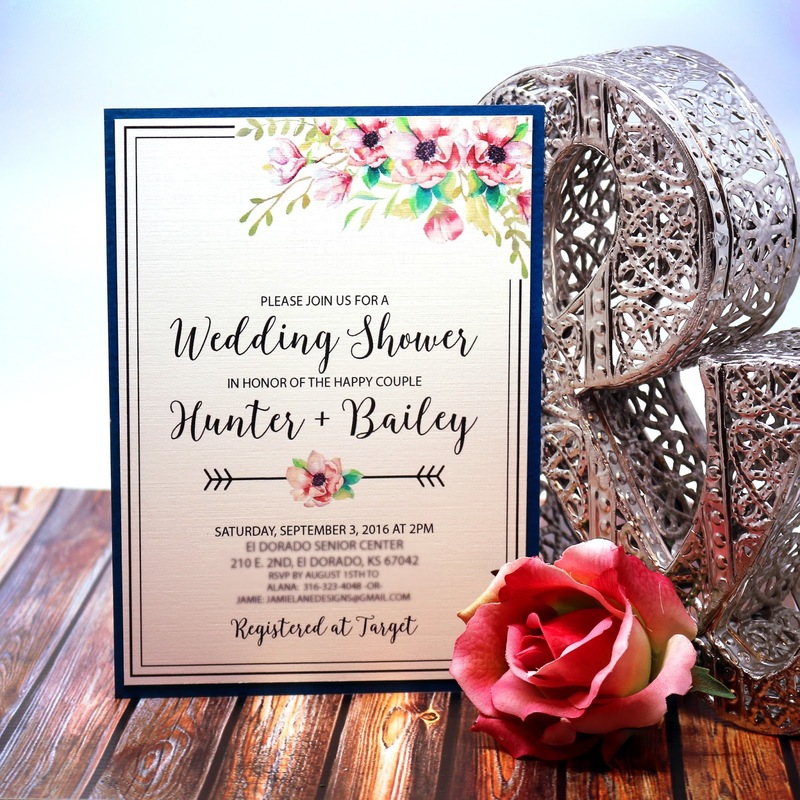 When planning this project, I knew I wanted to incorporate the StarDream Metallic Lapis Lazuli to tie into the Navy Wedding color my Niece had chosen. 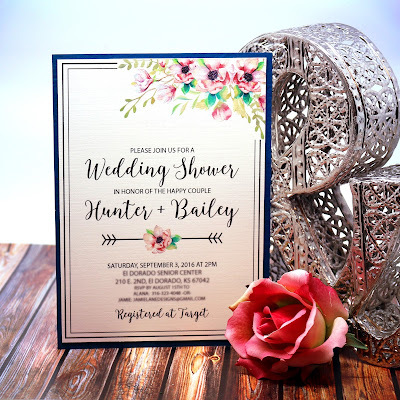 This card stock is a heavier weight and has a gorgeous sparkle to give it such elegance and really makes the invitation feel professionally built. Since I was going to print the details on each invite, I selected the Classic Linen Natural in 80# weight. 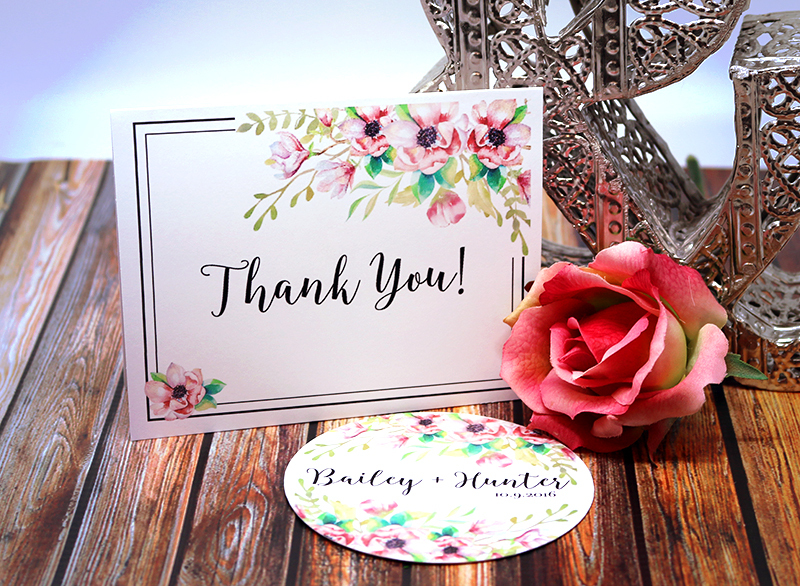 This card stock works well with my printer and I love the slight texture it has. I designed the invitation and just simply printed two per 8-1/2" x 11" sheet then cut the StarDream Metallic Lapis Lazuli card stock so I could layer. 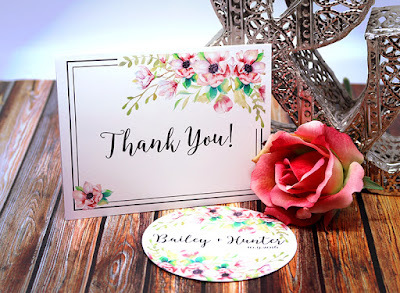 I also used the 80# Basis White Card Stock to create Thank You Notes that my Niece could use to send after the Shower that coordinate with the invites.